WTS: Romanian 8mm Mauser, N.C., 720 rd. case, .41/rd. 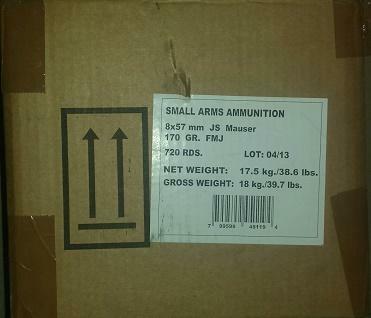 WTS: Romanian 8mm Mauser Non-corrosive ammo in 20 rd. 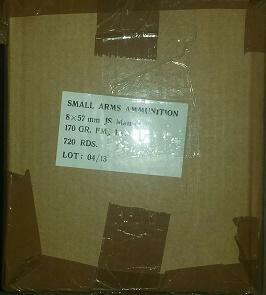 boxes with 720 rds. per sealed case for .41 per rd. 2013 production with steel casings. Face to face delivery possible in western US for .01 per rd. with customer supplied shipping label for east of ID, UT and AZ. Please e-mail to steyr556aug@gmail.com or call 360-202-4698. Edited 11 Jun 2016 by Myron P.
Is this loaded to the same specs as the 1970's 8mm Romanian? Will you UPS this to zip code 75098 In North Texas? Yes. 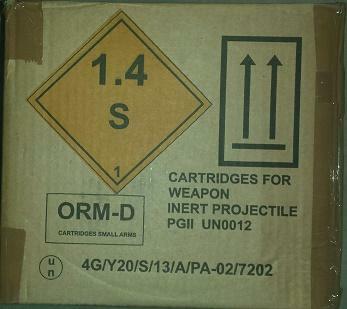 170 gr. 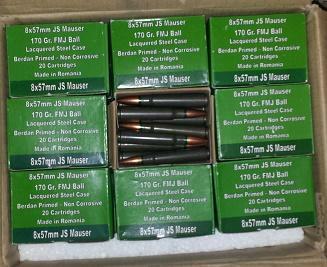 Just non corrosive 2013 manufacture..
Edited 16 May 2016 by Myron P.
I just picked up a large quantity of the ammo it looks great and my Myron is a great guy to deal with. Buy with confidence. sent ya an email. Need a large quantity also.